Sue Goldschmidt is an Australian-born ceramic artist working in London. She attended Beth Rivkah Ladies College in Melbourne, followed by two Bachelor of Arts degrees at the Universities of Manchester and Westminster, in Language & Literary Studies and Ceramics, respectively. 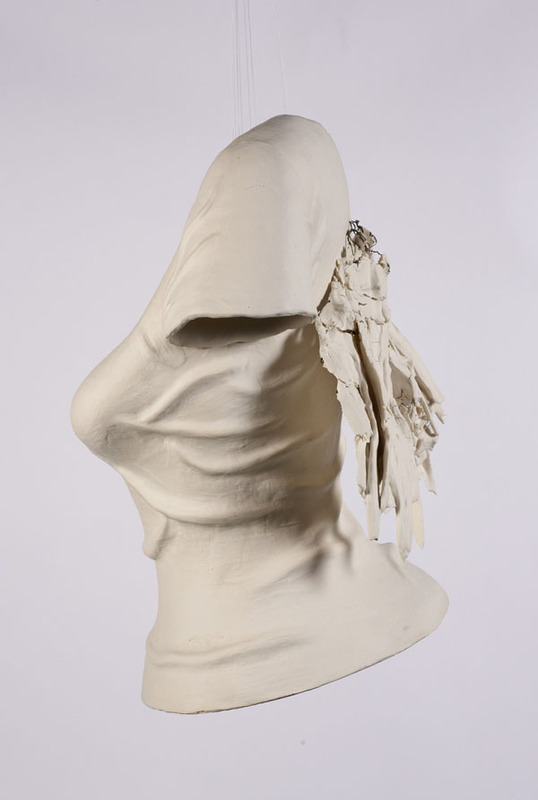 She is well-known for her delicate ceramic installations of female garments, such as tutus, dresses and skirts. What could be misread at frivolous fashion-focused art is actually highly autobiographical, described by the artist as “intensely human and intensely private”. It may seem contradictory that Goldschmidt address her public art work as private, but she insists that she must be truly personal, in order to be truly universal. Goldschmidt’s porcelain dresses should be understood as self-portraits, which simultaneously explore the human condition. For example, Goldschmidt mixes incredibly delicate materials such as feathers and flowers with the ceramics, the former of which disintegrate when fired in the kiln, and provide a “material metaphor for absent presence”.